Perhaps some other time I’ll write in more detail about the links between Minnesota’s Bell Museum and birds. There are many. Now I’ll just note that the Bell Museum was closed for a long time during a move to a new location; the Bell had its grand opening last Sunday; I took some pictures to demonstrate the Bell-Bird link and here they are. Some of them. Let’s start with the Loon. This is one of the Bell’s famous dioramas (more below). 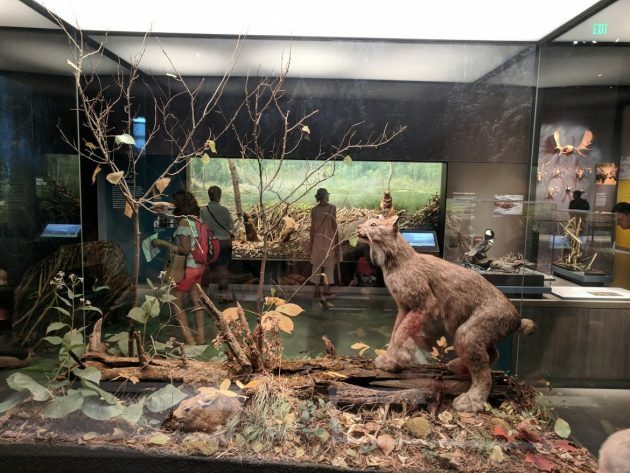 Most museums when they move trash the dioramas. Not the Bell. The Bell incorporated the dioramas, or at least many of them, into a fantastic floor of natural history museumology. 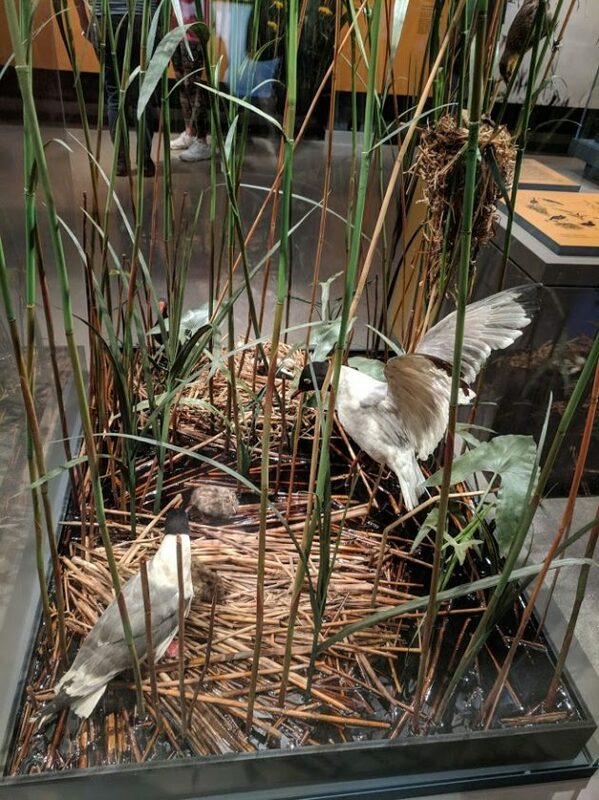 The Loon diorama demonstrates biparental care in a bird. 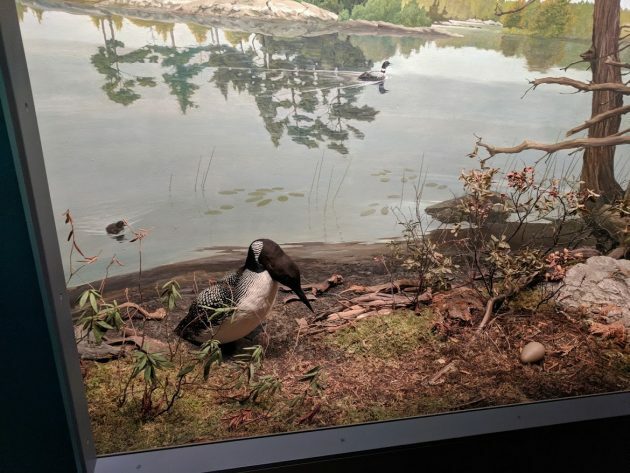 Bell Museum diorama with loons. 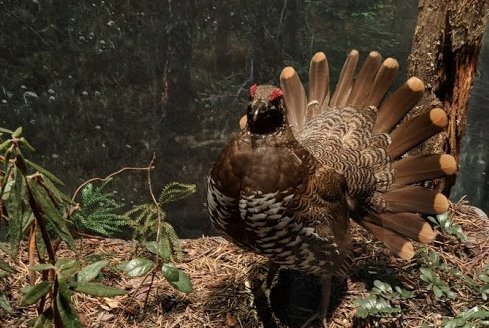 Sometimes the birds are used as a prop in a mammal exhibit. Can you find the bird that is about to be eaten by the Lynx? The Bell has encouraged and developed a great deal of nature art, and much of that is bird art. Bird art at the Bell. Cranes are a bid deal in Minnesota, and they are a big deal at the Bell. Just around this point I was getting a little tired, having had a long drive that morning, and skipped lunch. Then things got even worse. In fact, it was a turn for the worse…. The Bell museum is old. How old is it? 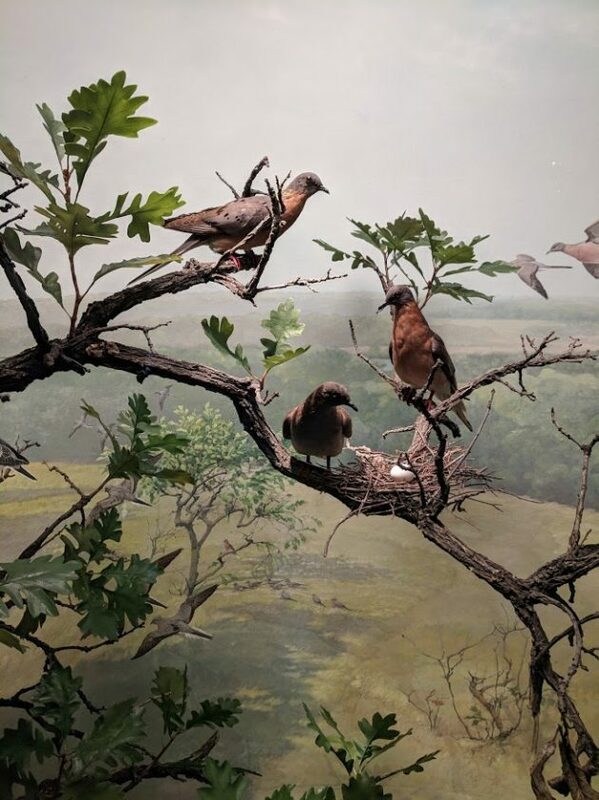 So old that this exhibit originally used live passenger pigeons! But seriously. 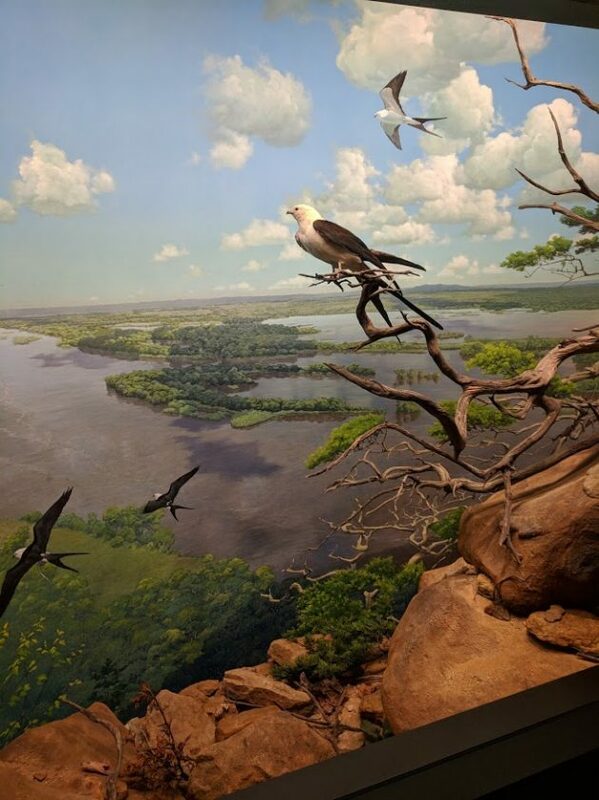 This is the Swallow Tailed Kite, a Mississippi river valley dwelling Kite which used to live all up and down the Mississippi, even way up to the source at Itasca. But not any more. The Bell has always offered the same exact explanation for the Kite’s range getting so small, and I never quite believed it. Anybody out there know why this Kite has abandoned most of the Mississippi? 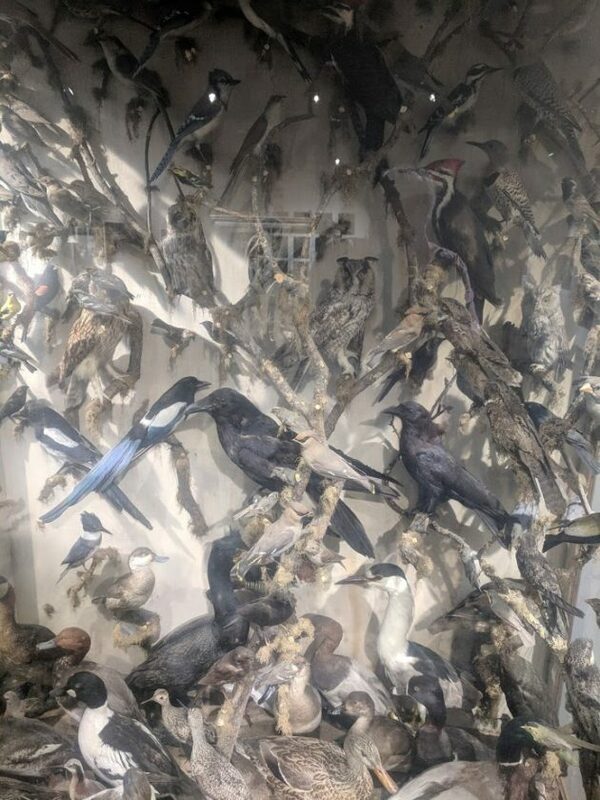 The Bell collection of birds is impressive. 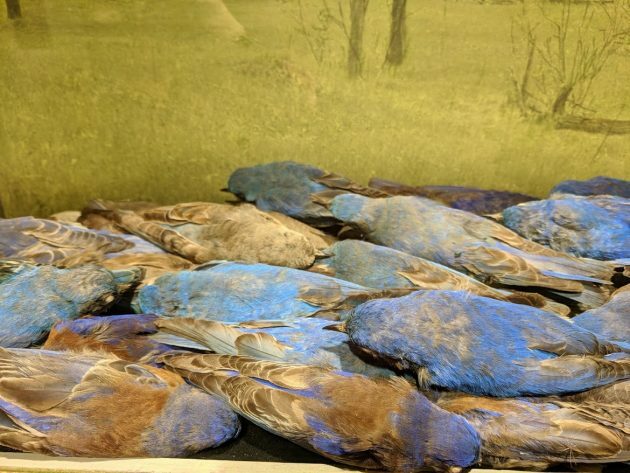 Here are a bunch of the blue birds. This is what it looks like when you run out of exhibit space but have not run out of birds. Did they really have the swallow-tailed kites labeled as Mississippi kites? Um … preposterous. 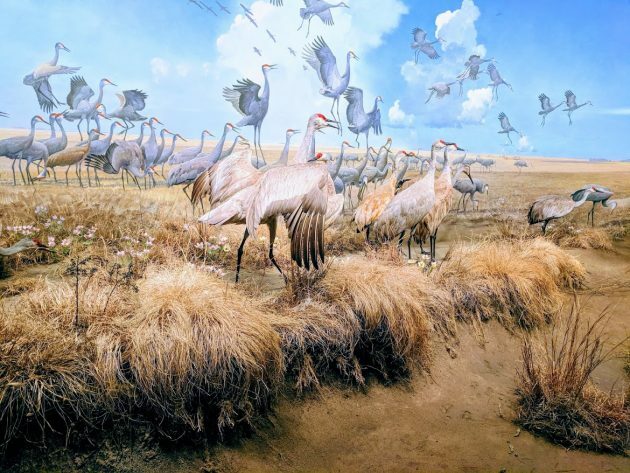 This is one of the world’s premier museums and this diorama was up at the original bell for decades. Someone would have noticed. Totally impossible they mislabeled the birds. …. I’ll get back to you on this…. Wouldn’t the lynx get a better meal out of that juicy rabbit? And those terns are actually gulls. Is this whole article sarcastic, or what? Is the whole purpose to criticize the museum? I don’t get it, seriously, why post this? Sorry you didn’t like the post. 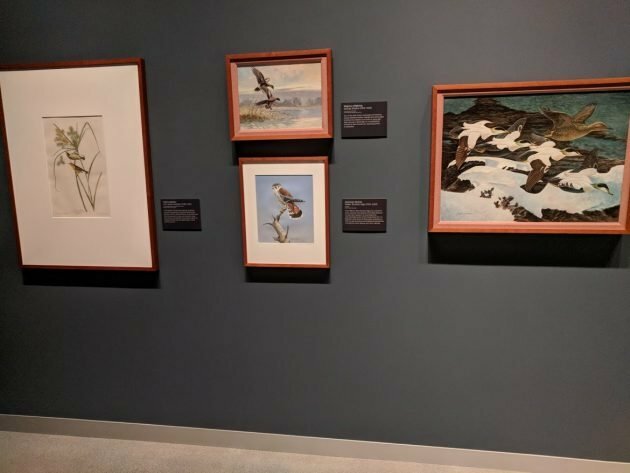 It is just a bunch of pictures of bird related things from a significant museum that just opened (these photos were taken at the opening). There are no criticisms of the museum here. There is, however, an irony. Many, many posts on 10,000 birds consist mainly of a picture or several of some birds, with some commentary. My posts are never that, but rather, essays. This is my first non-essay post. Maybe I should just never do any of those again, would you suggest? In the discussion of the kite, above, I in my ignorance of Kites conflated kites that live in the Mississippi valley (like, the American Bald Eagle, the Canadian Canada Goose, or the Mississippi (valley dwelling) Kite) with the official Mississippi Kite, some obscure bird they stuck in there somewhere. The text of the post has been corrected. Move, Birds, Get Out the Way! 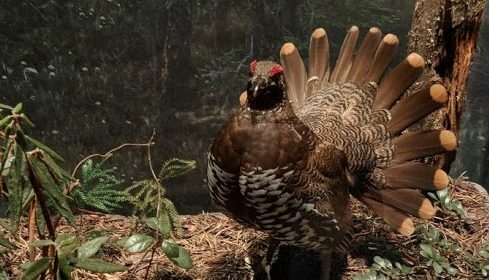 What is the State Bird of Minnesota?